Graceful arches complement the front porch and echo the elegant arched windows on the facade of this four bedroom brick traditional home. Stunning cathedral ceilings enhance the great room, kitchen, breakfast, and bedroom/study, while the dining room and master bedroom enjoy distinctive tray ceilings. A fireplace flanked by built-in shelves and cabinets creates warmth and interest in the great room, which opens to a generous screened porch. 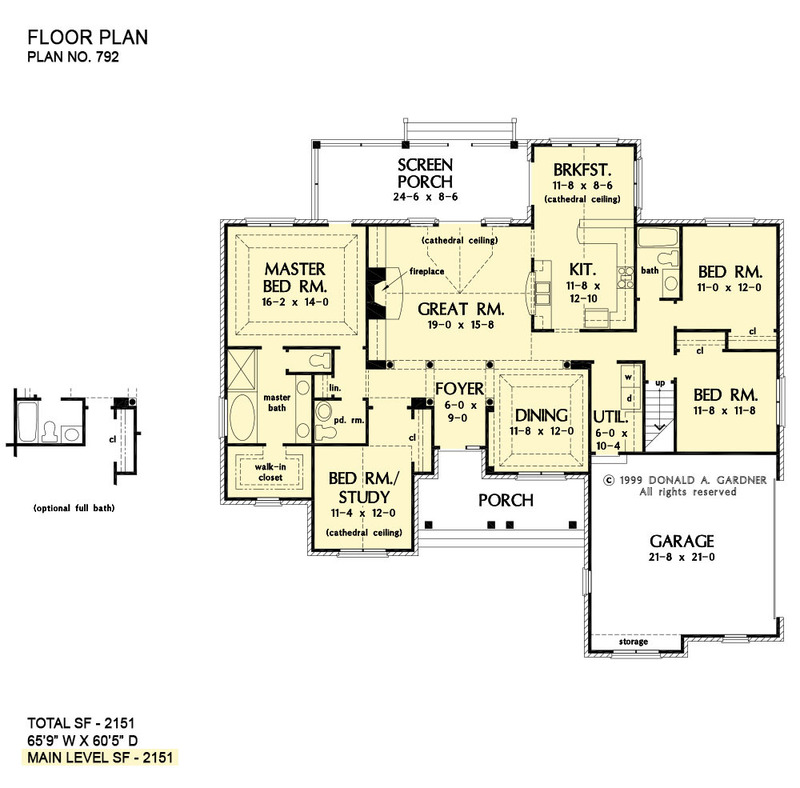 Also boasting access to the screened porch, the master suite features a well-appointed bath and walk-in closet. The versatile bedroom/study has a single door option for enlarging the adjacent powder room into a full bath. 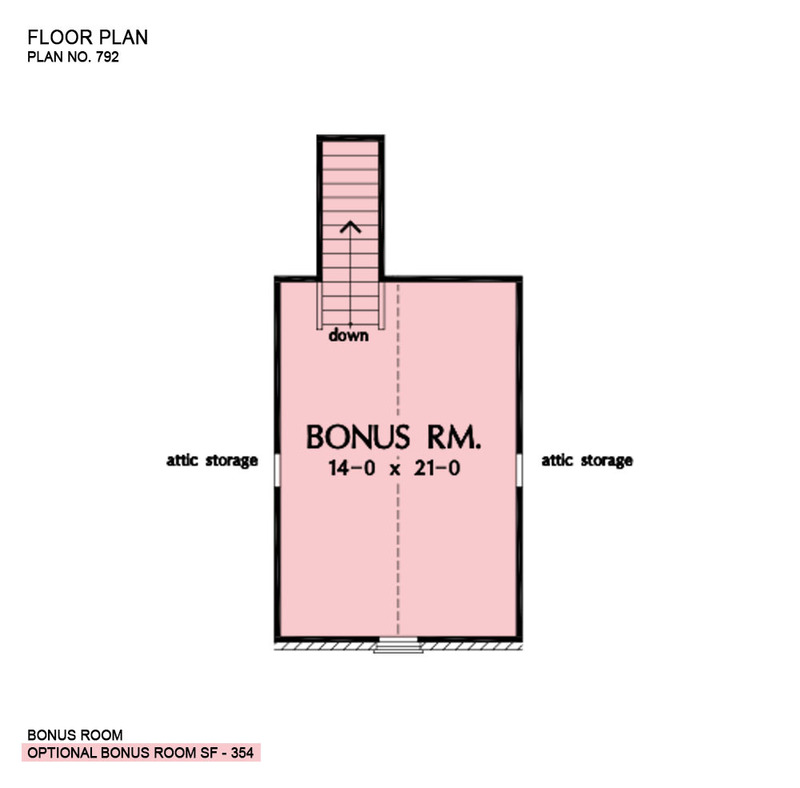 Bonus Room: 354 Sq. 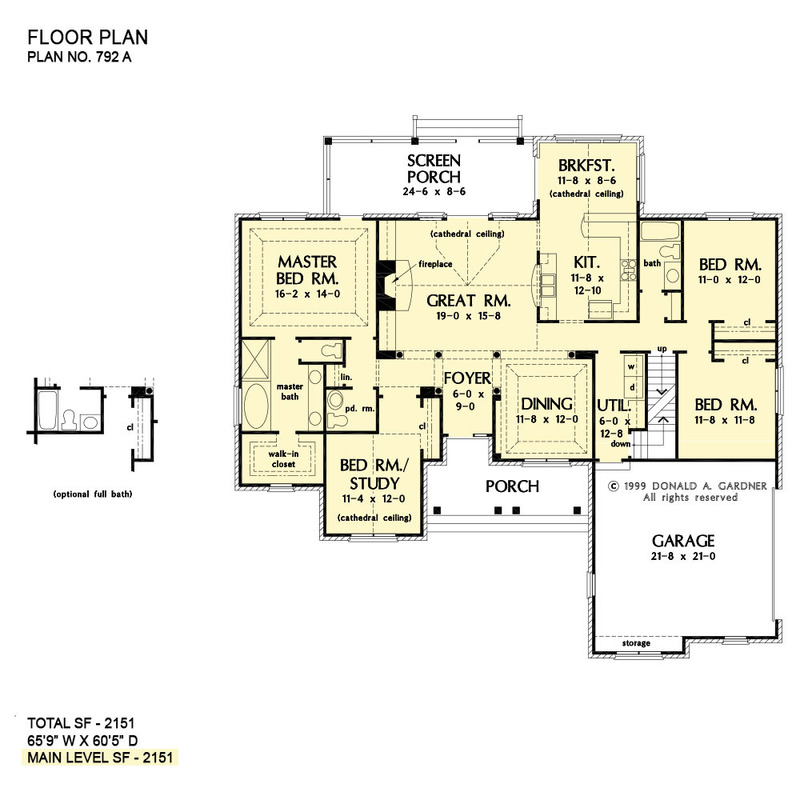 Ft.
House Dimensions: 65' 9" x 60' 5"
Master Bedroom: 16' 2" x 14' 0"
Breakfast Room (Cathedral): 11' 8" x 8' 6" x 15' 6"
Foyer : 6' 0" x 9' 0" x 9' 0"
Dining Room (Tray): 11' 8" x 12' 0" x 10' 5"
Great Room (Cathedral): 19' 0" x 15' 8" x 16' 0"
Kitchen (Cathedral): 11' 8" x 12' 10" x 15' 6"
Bonus Room (Cathedral): 14' 0" x 21' 0" x 12' 0"
Garage Storage : 10' 6" x 1' 10" x 0' 0"
Master Bedroom (Tray): 16' 2" x 14' 0" x 10' 5"
Bedroom / Study (Cathedral): 11' 4" x 12' 0" x 15' 6"
Porch - Front : 19' 5" x 6' 0" x 0' 0"
Porch - Screen : 24' 6" x 8' 6" x 0' 0"